After 400km of solid driving I had decided the new Mercedes C-class (W205) was a very conventional car. As I expected, it did everything well. The test route included one of the best, and most varied driving roads in the state of New South Wales, and punting the C200 at high speed for almost 200km inspired confidence in both the performance and the roadholding. When I finally paused for a pitstop and a welcome iced coffee, and began my ‘list of songs’ (notes I make to remind me for research), I realised it was very much ‘out there’ and a new approach from Sindlefingen. It might carry the same badge as its predecessor, but it's a whole different ball game! A new design language, a new approach to body construction using aluminium underpinnings, and improved aerodynamics, plus impressive fuel economy meant I had to sit up and take notice. On reflection, the C200, as far as I’m concerned is the Mercedes-Benz that really makes sense, in terms of size, cost, packaging and efficient performance. It’s an impressive car, and taking over from the very successful W204, I think it will smash its competitors, and maybe some makes in surrounding sectors as well. 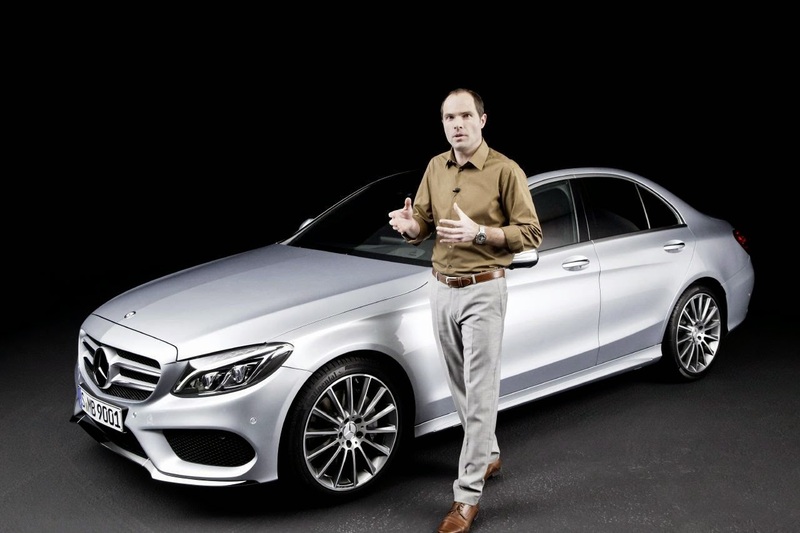 You could say that the C200 is a mini S-class, in looks, design, interior and image. Not such a bad thing, and at AUD$60,900, way cheaper! The car I drove is the most affordable (cheapest) model in the C-class line-up, and I’m not sure it’s worth paying any more. Powered by an athletic turbocharged 2-litre petrol engine, mated to a slick 7-speed dual-clutch transmission, the C200 steps off quickly, delivers a seamless flow of power and torque, and after 400km (of which at least half was at high speed) it returned a surprising 8.3 l/100km fuel economy! A big contributor to the improved fuel-efficiency are the large number of aluminium elements in the platform design, and external items like doors, roof, trunk lid and bonnet. What’s not to like? If Mercedes-Benz is your brand of choice, you won’t be disappointed. Last year I drove a big S-class, and by comparison it was a lump, and the new C-class, with its new larger and lighter body, is every bit an able competitor for its big brother. I was really impressed with the interior ambience and the overall design, materials and fit and finish. It’s very much improved from previous models in touch, feel and quality. The test car offered a textured, black ash finish on the centre console, dash and doors, which was very tactile and subtle. Interior design comes from Mercedes-Benz's interior and concept studio at the Villa Salazar, located near Lake Como in Italy, led by Michele Paganetti. The integrated Comand system, which operates the on-board computer, Garmin nav system and entertainment is a joy to use. It’s intuitive and won’t make a computer-illiterate driver feel like a dope. The actual sound quality from the multi-speaker Will Burmester audio system is, in a word, FANTASTIC! First introduced on the S-class, the C-class nabs yet another S-class feature to boost its appeal, at a lower price point. I’m a music and audio buff, and I would be very happy to sit in the car and listen to my music collection. It’s a very impressive system, with a multitude of features which enhance the experience. Given that as we drive, what’s inside the car is most important, then the Burmester audio system is a very welcome inclusion. Leaving Sydney’s crowded streets (the departure point from heavy Sydney traffic is moving further and further out), and after overtaking the slow drivers at the start of my test route, I wound up the C200 for a very spirited dash into the distance. Driving solely on the ‘paddles’ the C200 provided a great driving experience, and I was not looking for the power/torque numbers, because the performance was more than adequate, and as I said previously the turbo 2-litre was athletic and fuel-efficient. I know most people don’t drive this way, but it is just a lot of fun and a pleasure. When I finally hit the seriously speed-limited environs, the suburban driving experience was just as pleasant. Two features stand out. First, the BEST Heads-Up display I have ever experienced. Second, the Idle-Stop system was unobtrusive, yet effective. Normally I disable that feature, but the Mercedes-Benz system was literally unnoticeable. As Mercedes-Benz is making much of the design language introduced on the C-class range, I must comment on its similarity to a new trend emerging from Japan. 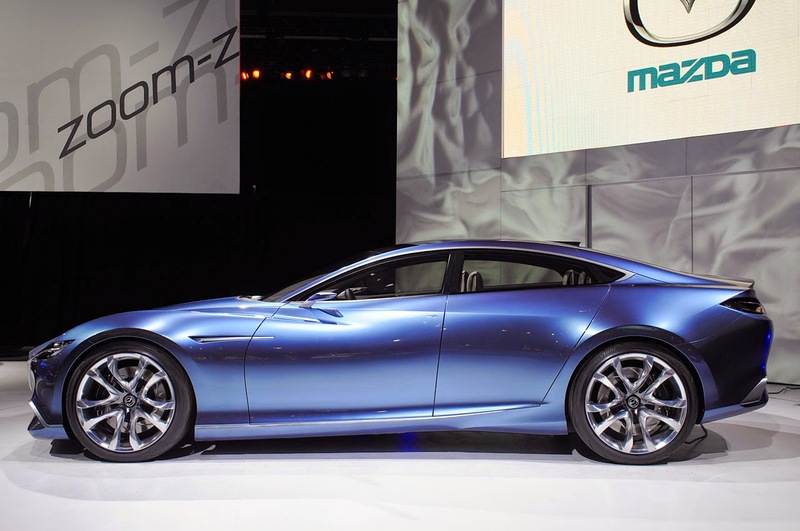 At the Geneva Salon 2010 Mazda introduced the Shinari concept car featuring the Kodo design language, led by Ikuo Maeda. The first production model to feature this trend was the CX-5 SUV, then came the Mazda 6 and Mazda 3 models. Essentially, this design language translates into moving the ‘glasshouse’ further to the rear, resulting in a longer front section of a three-box design. 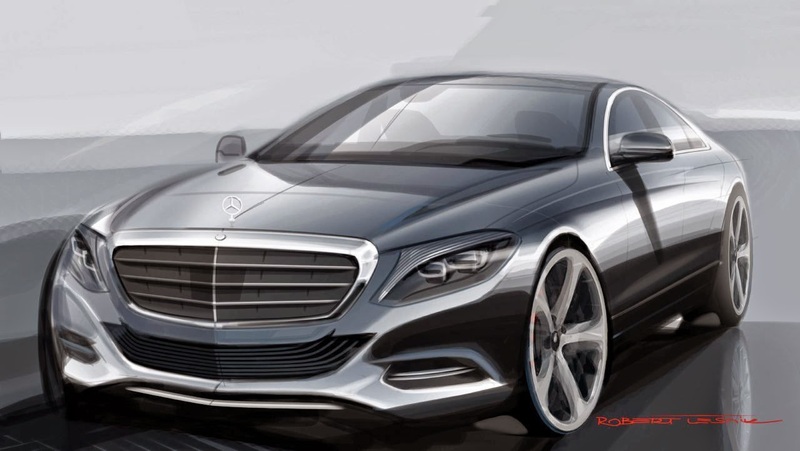 The C200 comes from the Stuttgart studio, with exterior design led by Robert Lesnik. You can definitely see the influence of Kodo in the C200, with the longer bonnet, and the cabin moved further to the rear. There's no doubt Design Chief Gorden Wagener, and Robert Lesnik picked up Kodo cues, but it seems it's becoming a very popular contemporary design theme. The C-class is the most important range in the whole Mercedes-Benz model lineup, and the W205 is a vital step in maintaining the company’s dominance of the compact luxury sector. The new car will not disappoint its makers, nor its owners. It’s everything you expect of a European luxury car, and it’s a worthwhile contemporary entrant in the class. Harking back to the highly-successful W190 of 1983, I'm sure the new W-205 will continue to maintain its dominant presence in a highly competitive market sector. And, there’s also no doubt the new C-class will significantly expand Mercedes-Benz stranglehold on this market segment globally as well. Here in Australia, WHEELS magazine awards its Car of the Year prize each year, and if I had been invited to join the judging panel in 2014, the C-Class would get my vote as the winner – hands down! To help realize our hidden desires and long-cherished wishes, Race Car Driving Schools exist. Danger and immense pleasure, juxtaposed together, make up race car driving. Therefore, to drive a race car or to race, we have to attend a proper Race Car Driving School. This blog is really helpful to deliver updated affairs over internet which is really appraisable. VIVE LA RENAULT. VIVE LA FRANCE! WHAT'S A 'GT' BADGE WORTH?